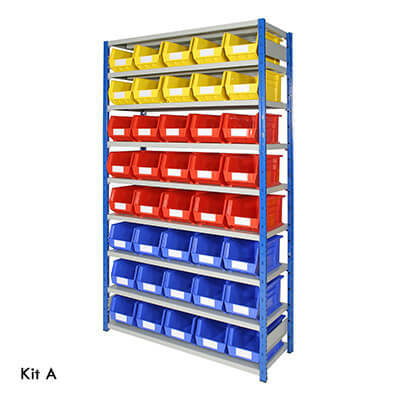 Whether you're looking for storage systems for your garage, warehouse or workshop, you can't go wrong with this range of boltless shelving bays, specially designed to house our heavy duty small parts storage bins. 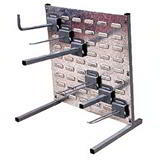 They're extremely quick and simple to put together - you'll need nothing more than a hammer in terms of tools! 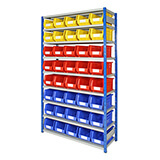 - but are more than strong enough to carry the weight of up to 80 loaded storage bins. 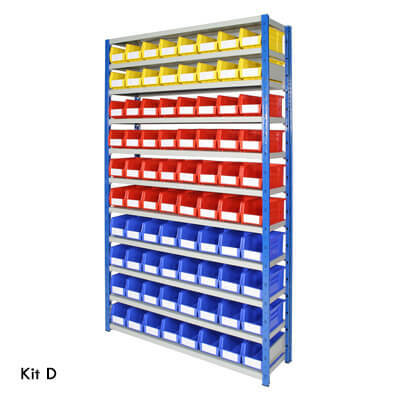 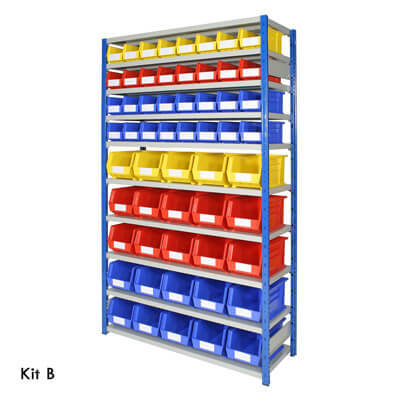 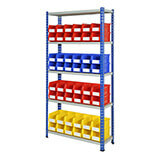 A full set of bins, complete with large labels, is supplied with each set of boltless shelving unit. 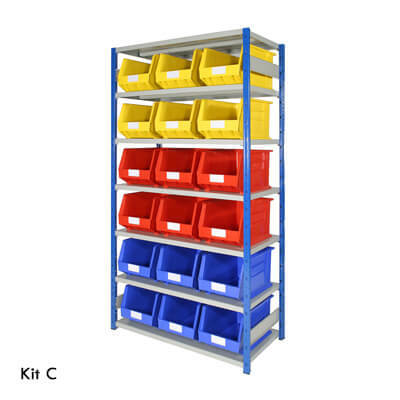 Please note that unless otherwise requested, we will supply our parts bins in the colours illustrated. 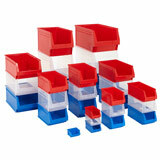 If you would like different colours (red, blue and yellow available) call our Sales team on 01332 821200.